Whilst sat by the pool on holiday in Lanzarote a couple of weeks ago, on the last hurrah of a very jam packed summer I started writing this… And in typical Luisa fashion, I’ve only just got round to finishing it. 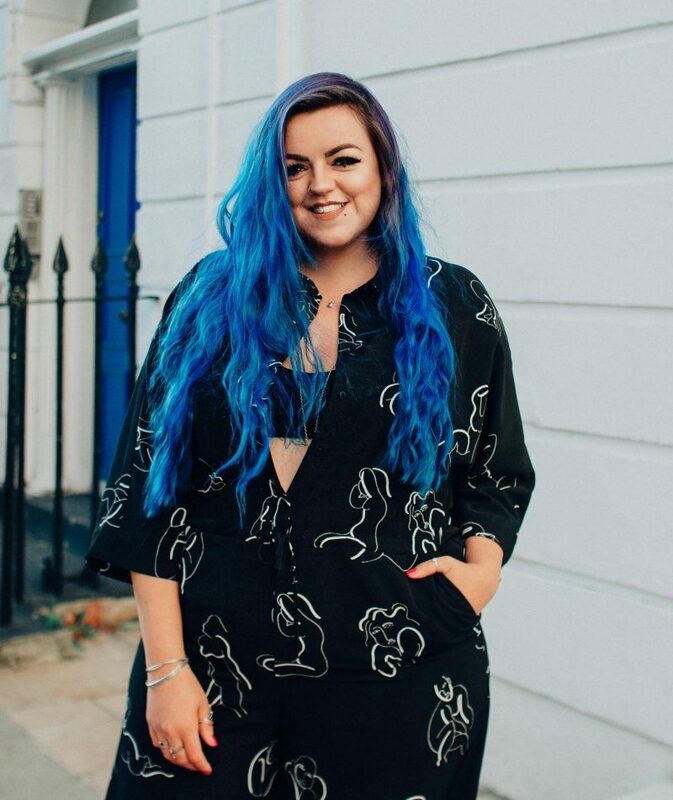 I thought it was time I come back & explain my blogging absence. I’ve always considered myself a blogger, since I started doing this “posting-about-my-life-publicly-on-social-media” thing; but I’ll be honest with you – over the summer I’ve become more of an “instagram influencer” that also has a (kinda dormant) blog… It’s not why I got into the blogging world – to only do the Instagram thing (not that there’s nothing wrong with that at all – very envious of those making a living out of a thriving Instagram account), but I won’t lie, I have felt much more inspired over the past few months, creating content for Instagram, as opposed to organising a bunch of photos and writing 300+ words in some kind of coherent manner in a blog post that people might actually like to read. So initially I was locked out of my blog for a few weeks with a password situation, which I ended up sorting, however that seemed to be the catalyst to the silly complex I created in my head that writing a blog post was some kind of huge wall I wasn’t able to climb over or get around… Don’t get me wrong, it has been an incredibly busy summer too, 10 or so festivals (half of which were full weekends, and I camped at), visiting 4 different countries, and attending many a gorgeous wedding. Sitting down at my computer to spend a good chunk of time writing, when I was already away a lot, or getting home late (on top of my day job where I spend a whole lotta time writing emails) didn’t seem inspiring, so I kept putting it off. But I hope you’ll be patient with me and that despite the hiatus you do enjoy the way I write. I have so much to tell you all about what I’ve been up to this year. But I need to string all of the words I have about each subject together in a way you and others that stumble across this blog, might actually enjoy reading… Which may take a little bitta time, so please bear with. So hey – that’s me for now, any feedback on the types of blogs you enjoy reading as fellow bloggers, or blog fans, is appreciated. Or your advice on ways to get through the writers block / writing anxiety / general feeling of overwhelm-ment (that’s not even a real word), would also be welcomed. To the people waiting on blog posts: I promise you they’re coming, and I can’t apologise enough for being so slack (and crap). I’m sorry. 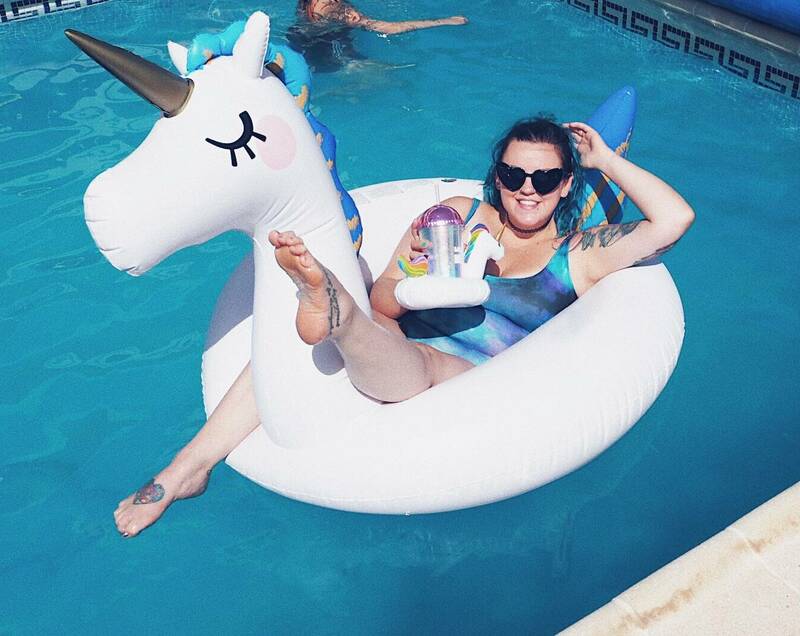 I’ll leave you with a picture, literally “living my best life” floating around a pool in an inflatable unicorn with a cocktail in my hand. Taken at the fancy shmancy villa in Lanzarote that I stayed in for the first week of October for a friends birthday (which I talked about a little here). Click the image to go to my insta post which has brand tags. Welcome back Luisa! I go through regular blogging slumps, so I know how you feel. Looking forward to reading your new posts.